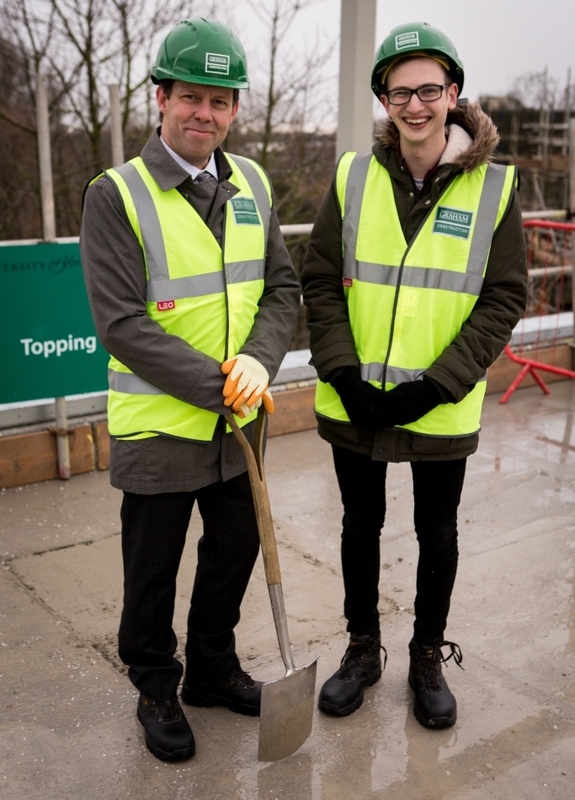 Vice-chancellor professor Koen Lamberts (left) and Ben Leatham, president of YUSU (Students’ Union) at the topping out ceremony at the new teaching building on the University of York’s Heslington West campus. Credit: Ian Martindale. A key building milestone has been celebrated at the University of York’s new £8.9 million Spring Lane teaching building. Main contractor GRAHAM Construction has now completed the structural framework for the building, which is set to open for the new academic year in September 2016. The University’s vice-chancellor Professor Koen Lamberts was on hand to mark the milestone at a ‘topping out’ ceremony this week. The three-storey Spring Lane building is a landmark structure for the Heslington West Campus and consists of a 350-person lecture theatre and 26 seminar rooms, each of which can house a minimum of 20 students. There is a large social learning space on the second floor for informal solo and group student study sessions. Architects Race Cottam Associates have designed the building to achieve BREEAM Very Good rating. He was joined at the topping out ceremony by University of York Students’ Union (YUSU) president Ben Leatham; head of estates development Gary Ashmore; pro-vice-chancellor for teaching, learning and students professor John Robinson; estates development project manager Sarah Bacsich, and senior staff from GRAHAM Construction. Gary Hughes, GRAHAM North of England regional director, said: “GRAHAM is a specialist in the education sector and we work with some of the UK’s largest and most prestigious universities, providing a wide range of campus and accommodation new build and refurbishment projects. 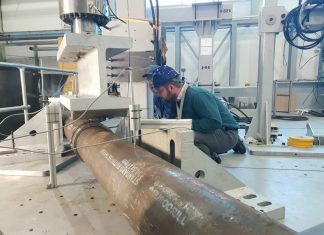 Since 2000, the University of York has embarked on an ambitious programme of expansion and renewal to create a 21st century campus, with hundreds of millions of pounds invested in new facilities and innovative refurbishment programmes. This includes several new buildings on the original Heslington West Campus and a £750 million campus extension at Heslington East.